The Pierro Silver Espresso Automatic Coffee Machine combines beauty and high performance in any commercial or workplace environment. What an incredible package – The Pierro Silver Espresso Coffee Machine paired with the fantastic Pierro 64 mm Grind On Demand Coffee Grinder. This fantastic Pierro Silver Espresso Coffee Machine with the Pierro 64 mm on demand coffee grinder is perfect for any Café, hotel, club, restaurant or hospitality environment. 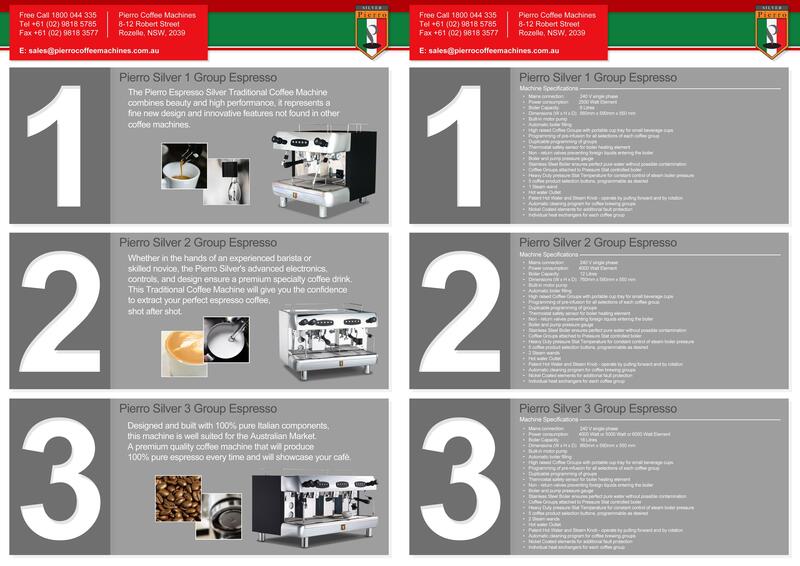 The Pierro Grinder is fast, efficient and accurate whilst the Pierro Espresso Coffee Machine with its stainless steel boiler produces perfect water for 100% pure Espresso. A premium quality automatic coffee machine.